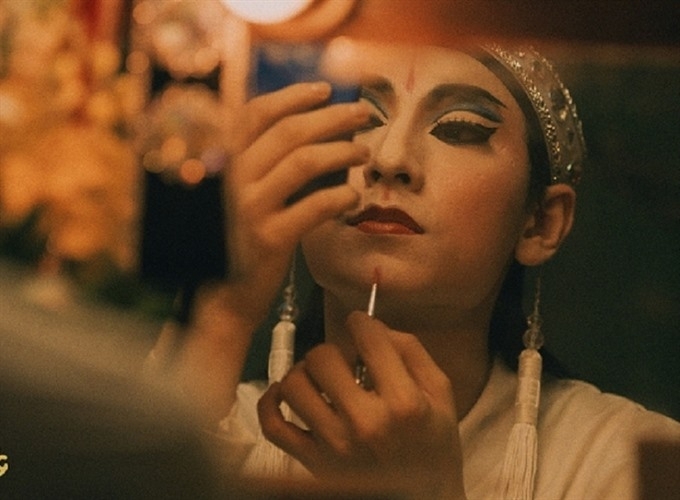 Movie star and producer Ngô Thanh Vân’s latest film on cải lương (reformed opera), a genre of traditional theatre in the South, will be in cinemas in August. The film Song Lang features a group of cải lương artists in Sài Gòn in the 1980s, focusing on the challenges they face to preserve their art. It also centres on the career of a young performer, Linh Phụng, who makes sacrifices to pursue his dream. The 100-year history and development of cải lương is also featured. Producer Vân invited pop singer and actor Issac, winner of the Rising Star of Asia’s Star Awards at the 21st Busan International Festival in 2016, and young actors Tú Quyên and Liên Bỉnh Phát, to play the film’s leading roles. The film’s young director Leon Lê invited cải lương stars to offer training for his staff. “Song Lang is my first film project. I researched many documents and books on cải lương before filming,” said the film’s director Leon. “I hope my film will entertain and educate audiences, particularly young people, who should have knowledge and love for Vietnamese theatre,” he said. Issac, who plays Linh Phụng, spent hours a day to practise singing and dancing cải lương with experts. “Singing cải lương is a big challenge to me. I’m under pressure during shooting. My role in Song Lang marks a new process in my film career,” said the 30-year-old. “I wanted to capture the beauty of Vietnamese culture and lifestyle in films,” said producer Vân, who has more than 20 years in the industry. Her new project, Thần Đồng Đất Việt (Vietnamese Prodigies), based on Vietnamese folk stories, will begin filming late this year. The film’s screenplay is based on a comic series of the same name by young artists of Phan Thị Company. Vân is also working on other three projects, called Thạch Sanh (The Story of Thạch Sanh), Thánh Gióng (Saint Gióng) and Sơn Tinh-Thủy Tinh (God of the Mountain-God of the Water). The three films are based on Vietnamese myths. Thạch Sanh tells the story of an orphan who grows up to be a brave woodcutter and defeats monsters to save a princess. Thánh Gióng portrays a young hero named Gióng who grows up to be a giant and rides on an iron horse leading villagers to fight against northern invaders. 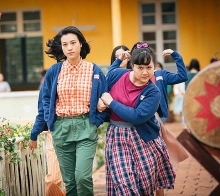 Last year, Vân’s Cô Ba Sài Gòn (The Tailor), a romantic comedy on Vietnamese women in Sài Gòn (now HCM City) in the 1960s, was screened and honored at the 22nd Busan International Film Festival in Busan, Korea. 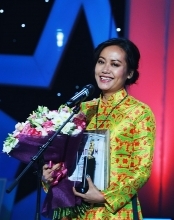 The film’s leading character, young actress Ninh Dương Lan Ngọc of HCM City, was named Face of Asia at the Asia Star Awards 2017. Post-production of Song Lang will be completed in mid-July. The film will be in cinemas on August 17.